It’s going to be difficult if you’re targeting “low search volume keywords.” Sometimes, these sets of keywords aren’t bad per se, but the overall impact on your campaign is what you should look out for—because it can affect performance negatively. In the rest of this article, I will show you the 7 proven techniques that will help you to manage low-search volume keywords in your campaign and increase your ROI. It’s a term used to describe a situation where your keywords don’t have enough search traffic on Google search. It’s very common with long-tail keywords or new branded terms. And it means your keywords won’t trigger ads or will remain inactive until the search traffic for the keyword increases. It’s frustrating to find your selected keywords which are relevant to your product marked as low-search volume keywords. But iszs that the end of the road for you? I don’t think so. We have to find a technique that will help us maximize our AdWords spending and increase our ROI. It’s no news that only a few people will search for a term with 5 – 6 words in a certain order. 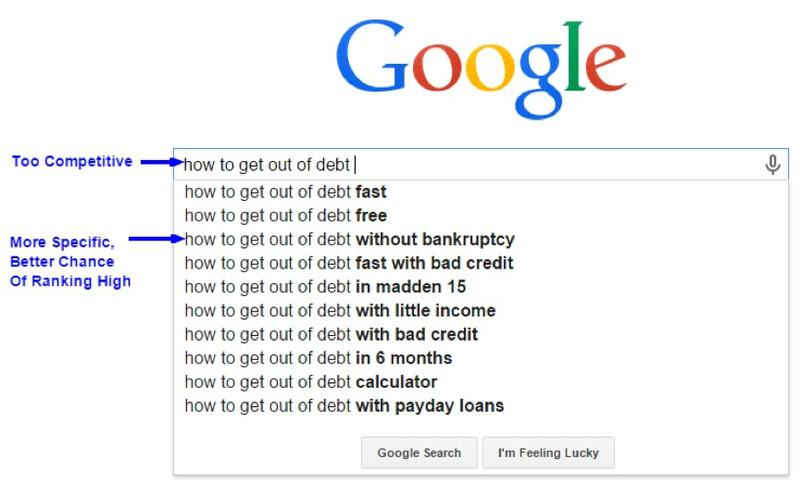 That’s usually the problem with long-tail keywords. However, long-tail keywords convert better than head keywords—Hence, we target them in our ad campaigns. If a particular keyword is labeled “low search volume,” the way around it is to change the keyword match type from whatever type you’re using to the Broad Match Modifier type and then put “+” in front of the most important words. Other match types might not generate enough traffic to eliminate the low-search volume label, however, the broad match type might do the trick for you. Log into your Google AdWords account, navigate to the Campaigns tab and click on the Keywords tab. Then in the edit panel, select a new Match type from the drop-down menu. Change from either Phrase Match or Exact Match to Broad Match type. Choose the Broad Match type and Save. Now you’ve completely changed your match type to Broad Match—don’t forget to add the “+” sign. 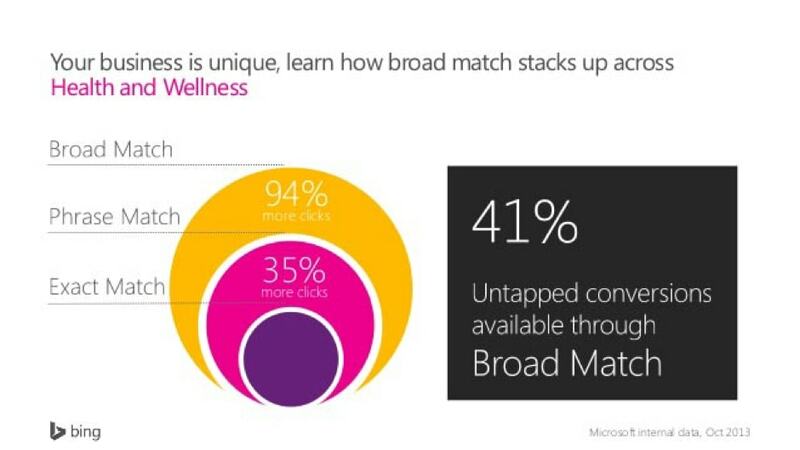 Broad Match type allows you to reach more searchers than Exact Match type and Phrase Match Type. When you use broad match, your ads automatically run on relevant variations of your keywords, even if these terms aren’t in your keyword lists. 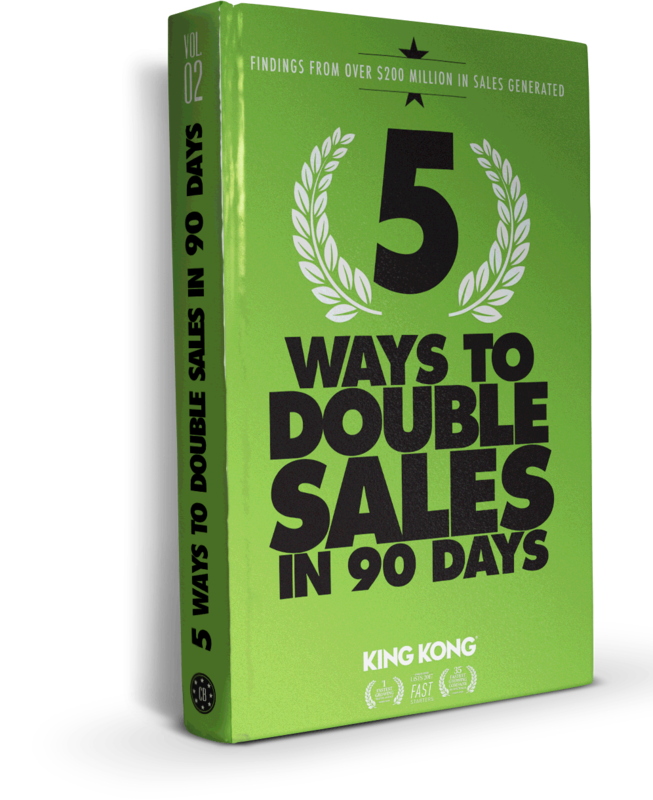 This helps you attract more visitors to your website, spend less time building keyword lists, and focus your spending on keywords that work. A recent study by Bing found that about 41% conversions are untapped and are available through Broad Match. If your top keywords have triggered the low-search volume label, you need to make a smart decision to get other keywords that are similar, drive same meaning, and have high search volume instead of sticking to your low or no-clicks-keywords. How do you find similar long-tail keywords? While you can use tools to find long-tail keywords, you might want to use uncommon techniques to find them as well, as too many people use these same tools already. You can use other manual techniques as well to find keywords. I believe this method is even more effective in allowing you to discover keywords with high-search volume and low competition. Better yet, use the Google “Related Searches” feature. You can see that there are a lot of variations of the keyword in the related search result. This can be a very valuable resource that gives you more relevant keywords to insert into your AdWords campaign. Use niche forums and boards. Using forums to find long-tail keywords can be extremely effective if done well. Several people in your niche will most likely be asking questions and seeking answers. Note the questions, and remember that if they are asking questions, it means there’s a likelihood that many other people will be asking the same questions also. 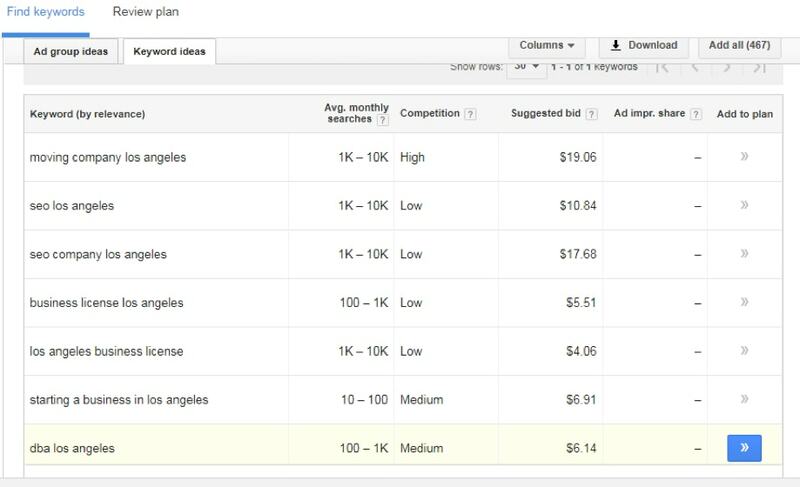 Use Google AdWords Keyword Planner and Ubersuggest to find and analyze new keywords for your ad campaign. To get started researching new keywords, log into your Google Keyword Planner tools Account and enter your target keyword to get other related keywords suggestions with higher search volumes. Make sure to click on the “Get ideas” button. Now that you’ve generated a lot of variations of your keywords, pick the ones that are relevant to your products or website. Ubersuggest is a great tool as well. I like the fact that it exposes me to a lot of long-tail keywords. If you want to stick to your long tail keywords, you’ll get valuable keywords suggestions from Ubersuggest. Here is how you can use Ubersuggest to generate additional long-tail keywords that would go well in your AdWords campaign. Simply visit the website and you’re ready to use Ubersuggest. You don’t need to sign up and it’s free. 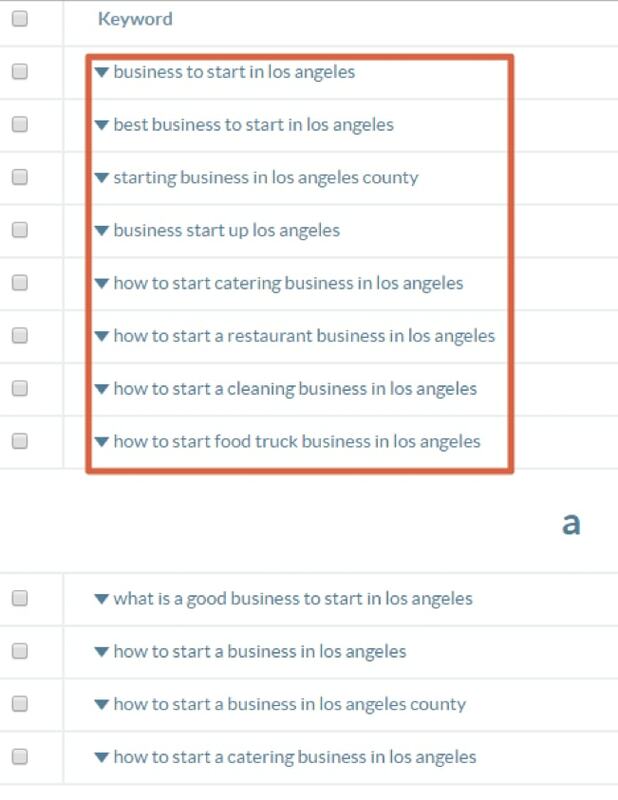 Enter your keyword (e.g., business to start in Los Angeles), then click on the “suggest” button. Here’s the result arranged in alphabetical order. You’ll notice that most of the keywords are long-tail keywords. You definitely have lots of options available. You can leverage this tool to uncover hidden head and long-tail keywords for your PPC advertising purposes. Make no mistake about it, the rich targeting features that AdWords provides have caused a lot of people to fall in love with digital advertising. 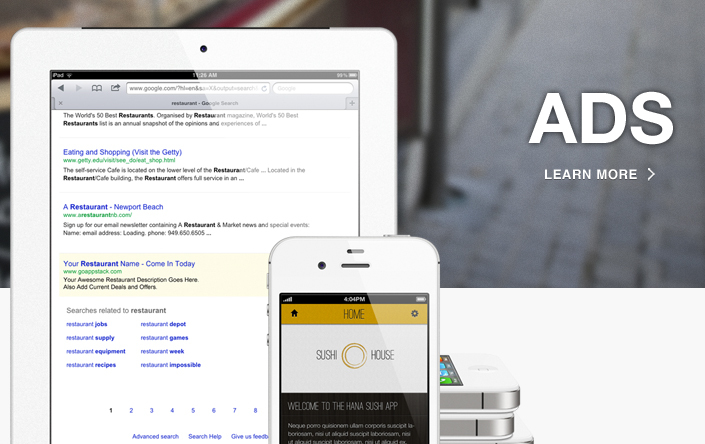 It ensures that your ads only get to those likely to be interested in what you have to offer. Truth be told, keywords offer a viable way to target your ads to the right audience, but it’s not the only way. Geographic targeting can also help ensure that you’re reaching the right people in cities, states, and languages that matter to your business. When I started running ads on Google AdWords, I had to pause low volume keywords, especially the ones that are generic and have a low-quality score. This enabled us to manage our accounts efficiently. Alternatively, you might want to expand the geographical reach of your AdWords campaign—if your business has a flexible service area. For most long-tail keywords, expanding your target area will likely raise the volume enough to trigger ads. You can use the radius targeting; target other neighboring cities, states, or countries to see how your keywords level up. Blue Fountain Media adjusted the geo-targeting of their ad campaigns, created located-based keywords. Consequently, the company saw a 15% increase in conversion rates and 52% boost in lead volume. Click the name of the campaign to edit it. Click the Settings tab. Then click on Edit next to Locations. Enter the name of the city, state, or country you’ve chosen to target. Click Add to add the location. Click Save to save your setting. From the General settings of your Campaign, you can measure how each location is performing, in terms of CTR, cost per click, impressions, Avg. Position, among many. Here’s another Google AdWord hack that works: Simply transfer the low volume keywords into another ad campaign—but this time with a wider geographical reach. Seasonal keywords are keywords that generate more search traffic during a specific time of the year. Most long-tail keywords are like that. For example, holiday terms like Valentine’s Day, Father’s Day, President’s Day, or Super Bowl Sunday usually have low search volumes after the holiday. Google tends to see them as low-search volume keywords when they are out of season. If a seasonal keyword is marked as “Low-search volume” don’t give up on it yet. Be patient and monitor the seasons to know the right keywords to use for your PPC ads that will drive the most leads and sales. When the season comes again, you see a spike in qualified ad clicks, and your search volume will surely increase. You’ll notice that over the course of 1 year in the month of November 2016 the search volume increased and between March – June 2017, it went down again. 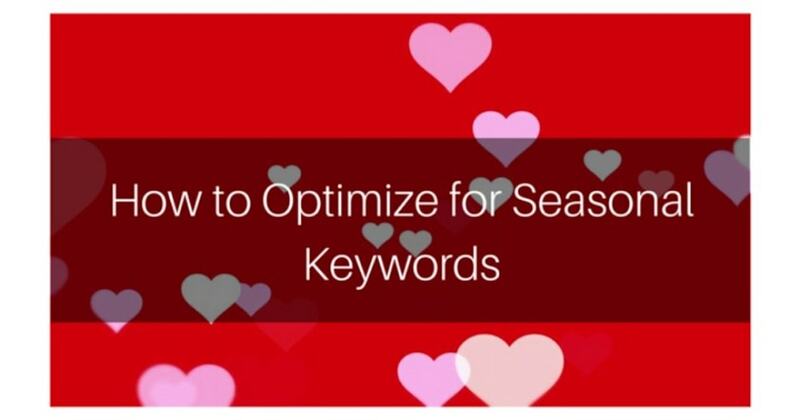 That’s definitely a seasonal keyword and you should know when to use them especially if it’s a keyword that has a high conversion rate. You can also look at your Analytics to find keywords that users enter into search engines—which they use to search for your business at every particular time. Look at it and you may just find the right keywords you need for your ads. 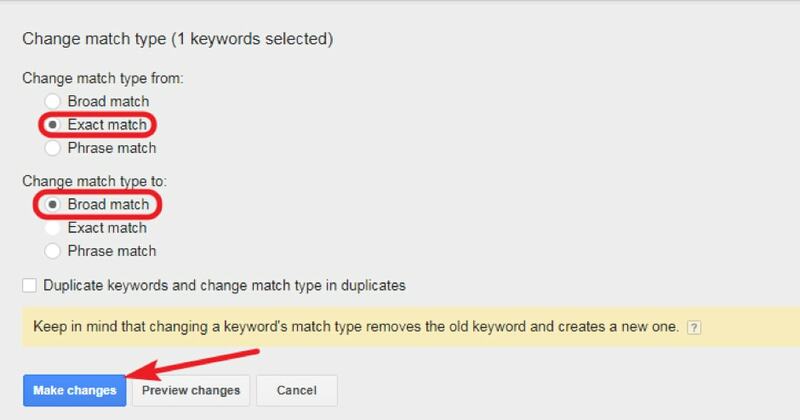 With that said, if you have keywords and you’re aware the search volume is expected to change seasonally, you should leave them in your account so they can start getting impressions once the search volume goes up. 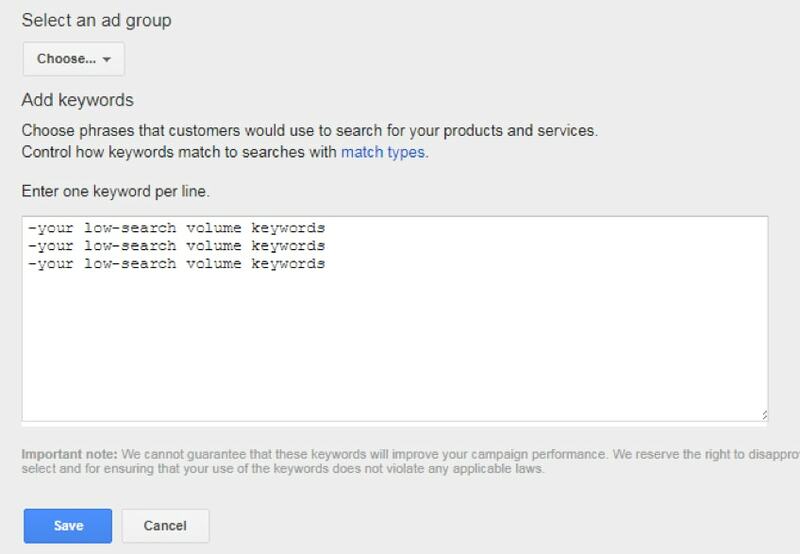 Now that you’ve got some low search volume keywords in a separate ad group, before deleting them, it’d be wise if you try different keyword variations that your customers are using to search for your products and services. Again, you can leverage tools like Ubersuggest and Karooya. These tools will make the experience a lot easier—I use them regularly. For most AdWords advertisers, the keyword research tool Karooya sounds strange. If that’s your case, here is how you can use Karooya to generate targeted keyword variations for your ad. It’s absolutely important that you always use keywords variations because your customers may use different terms to search for your product or service. The terms you might include could be colloquial terms, synonyms (such as shop and store), product names and serial numbers, alternative spellings as well as singular and plural versions. You can even list common misspellings. However, if you’re more comfortable with spreadsheets, you can go ahead and list all your keyword variations in an excel spreadsheet and export them to your AdWords account from there. I won’t forget to mention the in-built keyword suggestion option in AdWords which is based on your web page in the ad group page. By using all of these tools, you should be able to get a good list of keywords that will be suitable for your products and services. Perhaps, you’ll find a handful of keywords that will beat your low-search volume keywords. Including negative keywords in your keyword list is a great way to show your ads to a more relevant audience—by removing keywords that don’t have any buyer intent. If you add negative keywords to your ad groups, you’re telling Google to avoid triggering your ads anytime such keywords are used in a Google search. 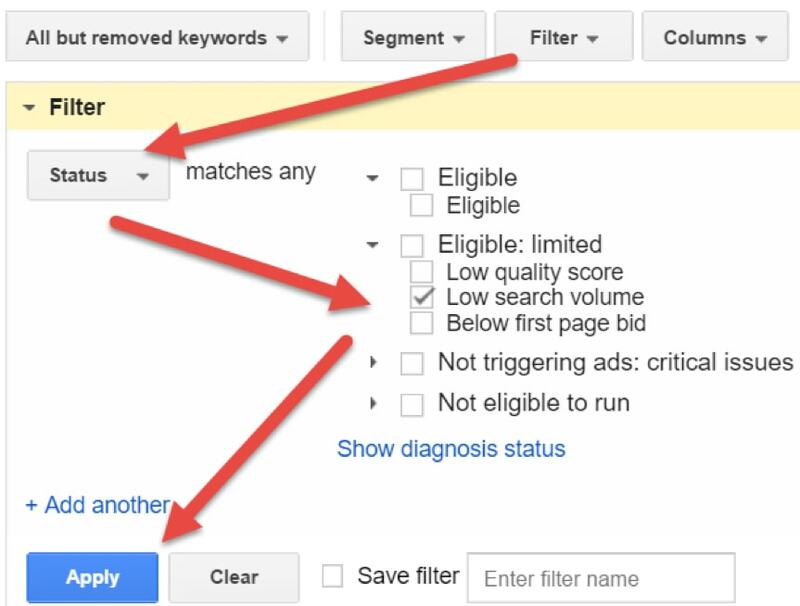 So instead of removing your “Low-search Volume Keywords,” you could actually put them to good use by adding them to your negative keywords list—that means you’re instructing Google not to show the ads in the ad groups the keywords are. It also means that you can use the keywords in the future and have a chance to benefit from them, if you delete them, you won’t have the chance to benefit from them. In your keywords list, if you add a minus sign before any keyword to you’ve made it “negative” and it’s an easy way to filter out traffic that you don’t want. You can add individual negative keywords to your campaign or ad group, or you can add multiple negative keywords at once. 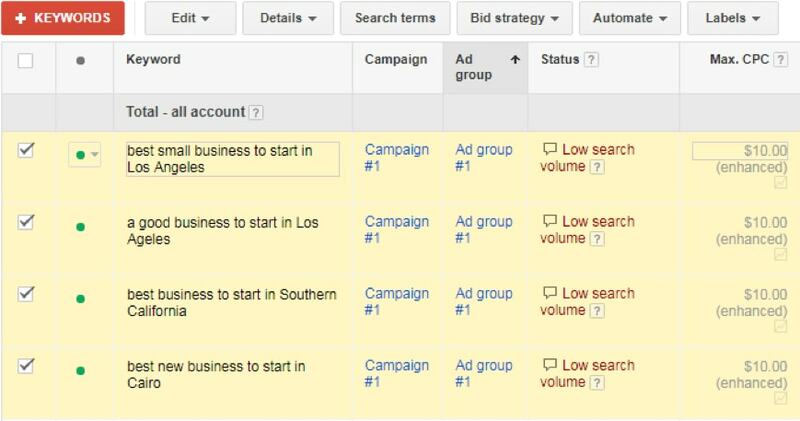 Simply log into your AdWords account and navigate to your campaign tab > then to your Ad group. Click on the +Keyword button. 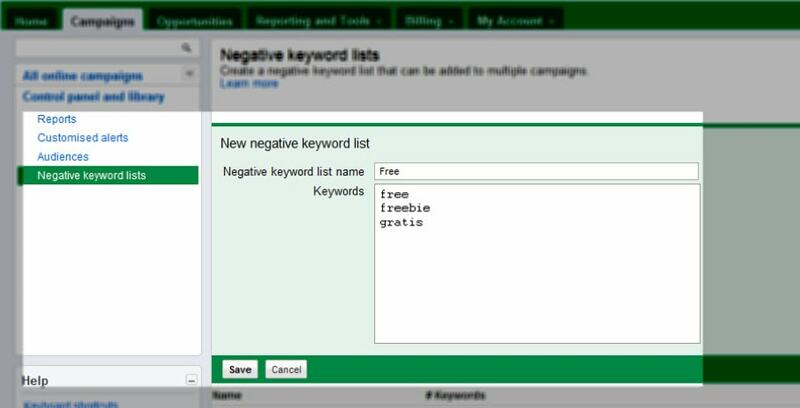 You can now copy and paste your negative keywords into the text box with the negative sign. 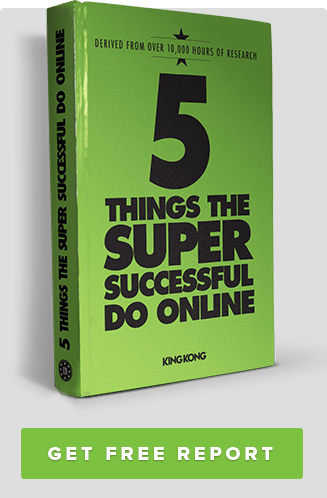 Once you do that, the keywords will automatically be added to your negative keywords list. Another way to achieve this is to navigate to the Negative keywords tab. 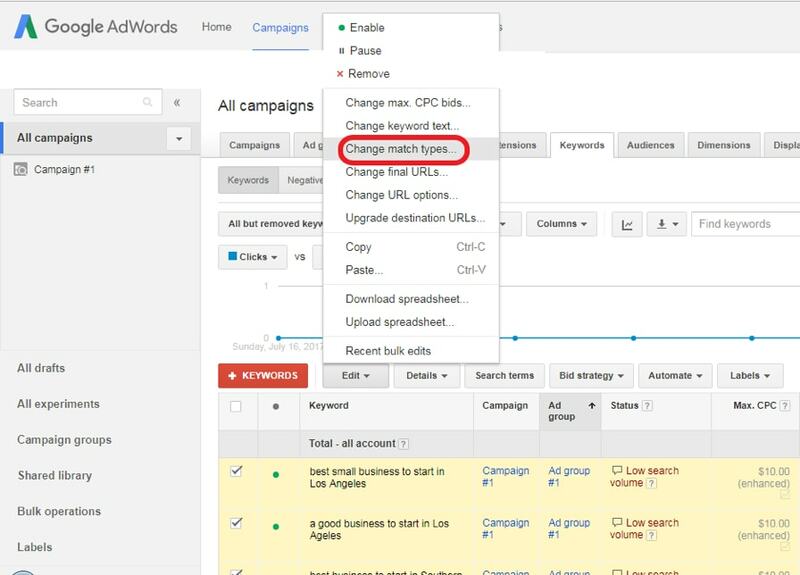 When you click on it, you should have options to add negative keywords on campaign level or ad group level. Once you click on the +Keywords you should be able to add the low-search volume keywords as negative keywords. That’s pretty straightforward, right? 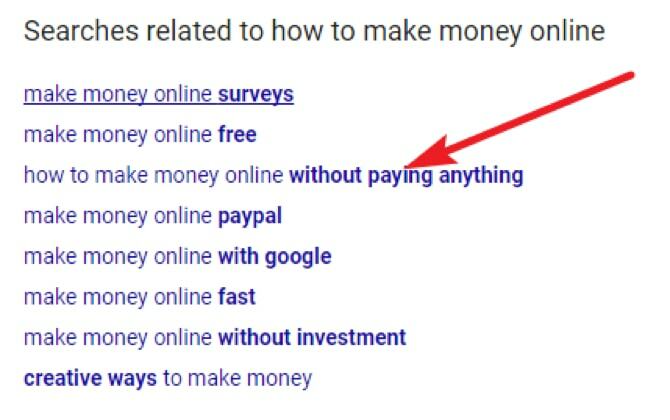 Negative keywords prevent you from showing ads to people who are less interested in what you have to offer, even though their queries may be syntactically related to the keywords in your account. For example, Brian David owns a restaurant and he doesn’t want to show up for searches related to gift cards from Pizza Hut, or Chili’s or Applebee’s, etc. If Brian is a smart advertiser, he will simply add these keywords to his negative keyword list. If you’re launching a new product, chances are that people may not know about your products yet. And of course, you don’t expect them to search for what they don’t know exist, right? Expect that your keywords will be marked as low-search volume keywords. 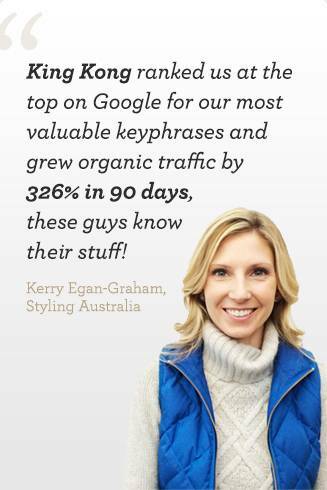 It makes sense that you create a buzz around your keywords first. It’s a good idea to run display campaigns to create brand awareness. 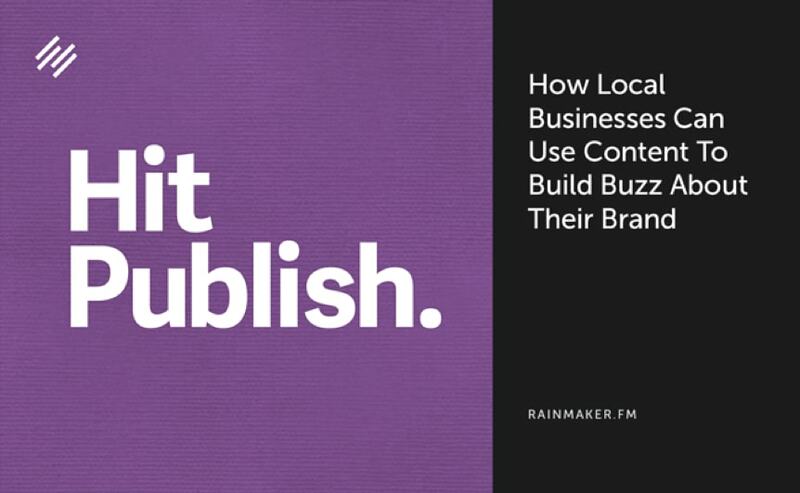 You can use content to create brand awareness, too—it doesn’t matter whether you’re a local business or a SaaS company—content marketing works. When people become aware of your products or your website, they’ll start searching for information related to it in Google. With that, your low-search volume keywords will become active and garner more impressions. You should expect results in a month’s time or so. Low-search volume keywords can be extremely profitable. In fact, this data from HitTail shows that conversion rates are 2.5X higher when compared to head keywords, and long-tail keywords have the potentials of ranking higher than head keywords. In all, the best Google ad clicks are generated when you have an understanding of the searcher’s intent—and what drives their search. It doesn’t matter whether you’re focusing on Google Search Network or Display Network, low-search volume keywords are not entirely a waste of your precious time and money—you should find profitable ways to make them relevant and useful for your campaign. At the end of the day, your ideal customers have the final say. If a set of keywords, for example, has a low search volume but you’re getting qualified clicks from them, you have to keep using them.